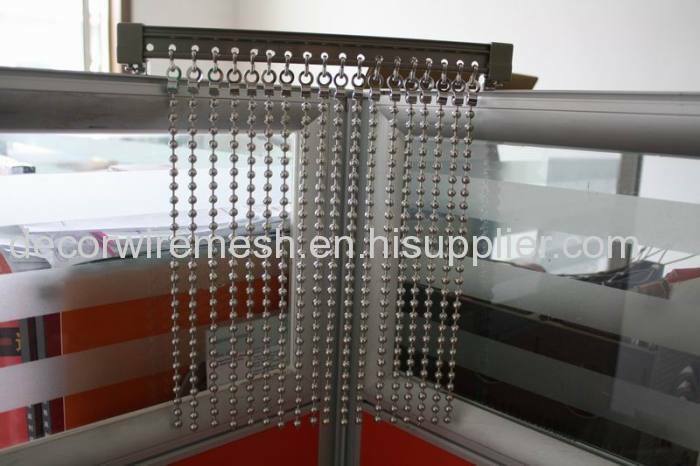 Metal ball chain curtain is a new kind of building decoration materials, which are widely used in building elevation, divider, the ceiling, shade, balconies and corridors, shutter, staircases and airport access stations, hotels, museums, opera houses, concert halls, office buildings. 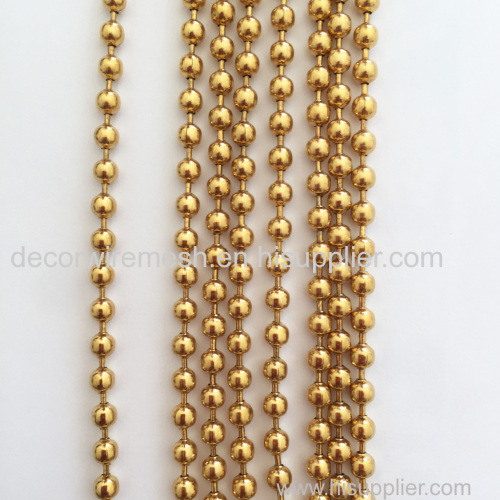 With its versatility, unique texture, variety of color, durability and flexibility, metal ball chain is a long term solution for today's modern style. 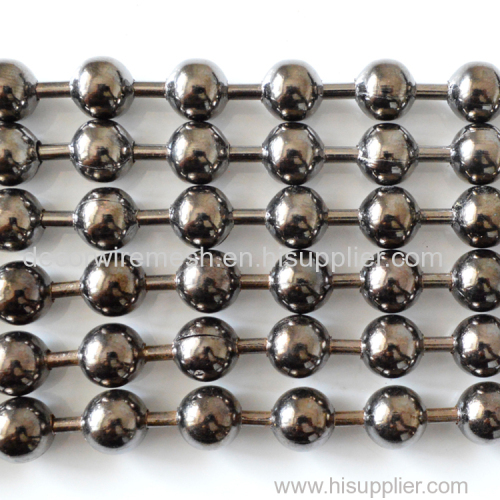 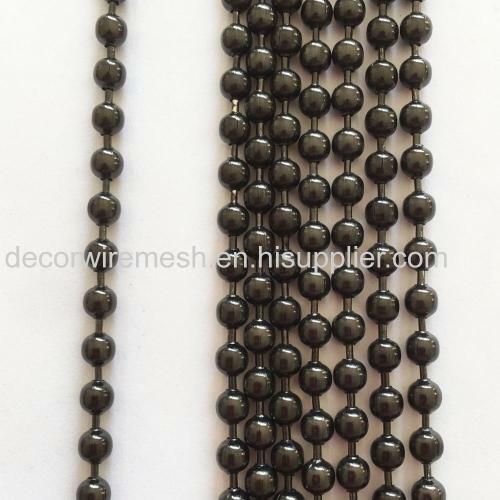 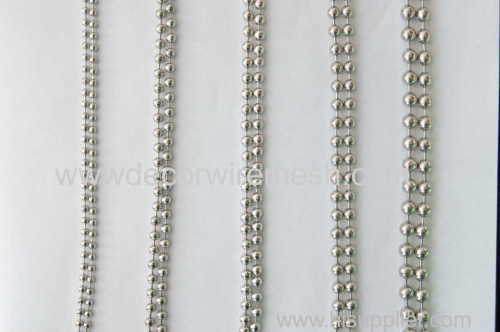 1.We offer metal ball chains of different sizes, ball diameters range from 1 mm to 10mm. 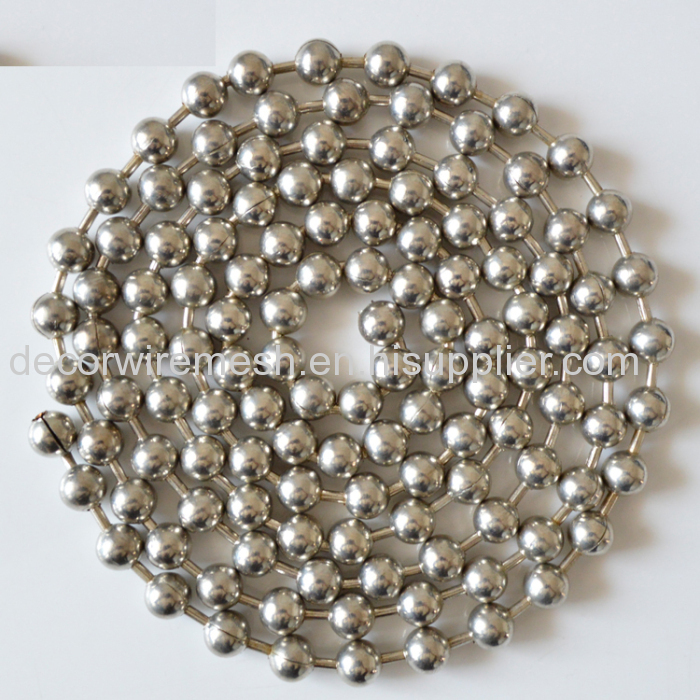 If it's used for curtains, We recommend chains with ball diameters of 6 mm or 8 mm. 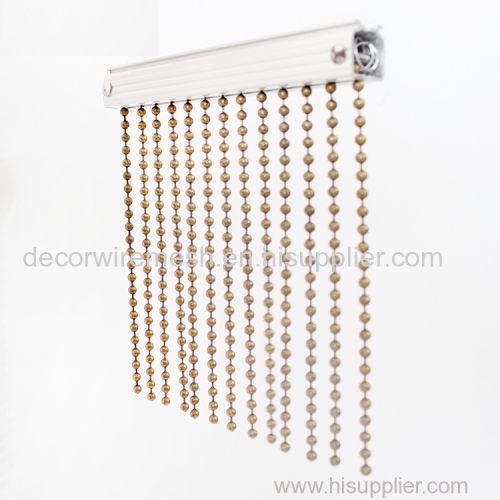 2.We offer metal ball curtains in different colors, Best Sellers silver color, Luxurious gold color, antique brown color, and Modern gun black color. 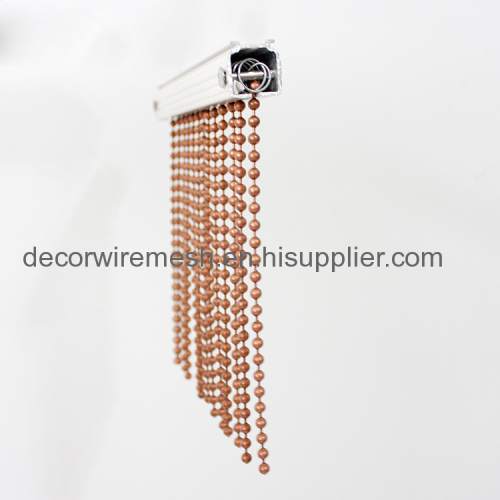 3.We provide tracks and corresponding accessories, easy installation. 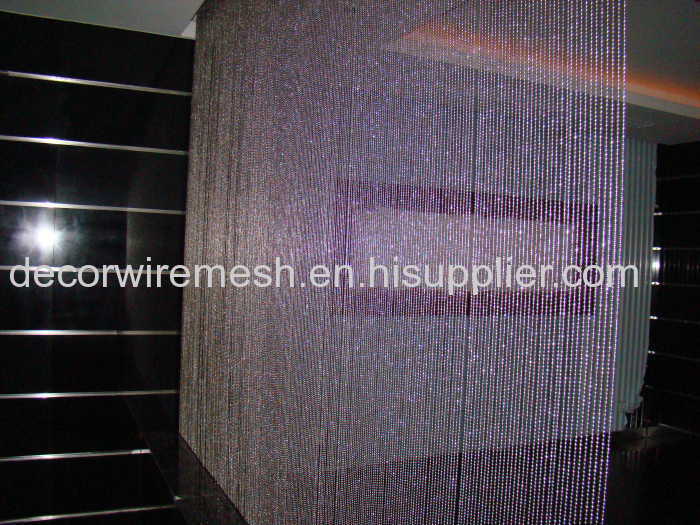 Tracks apply to walls or ceilings. 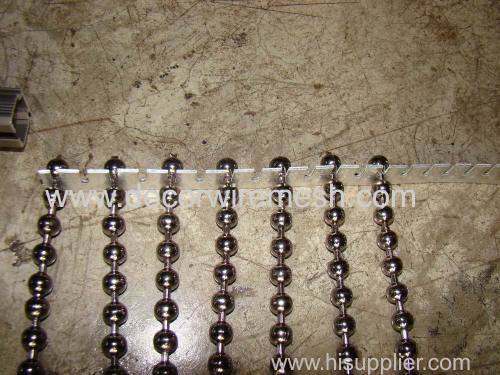 If you need to bend the track, We provide track bending services. 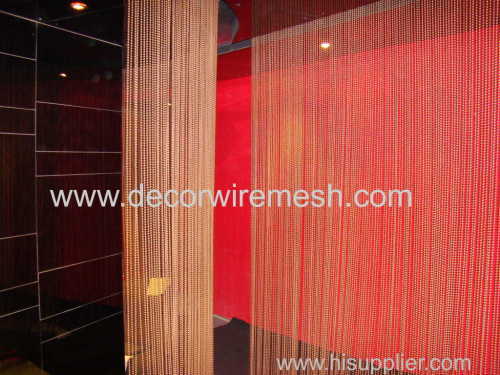 4.The curtain size can be customized to your demand. 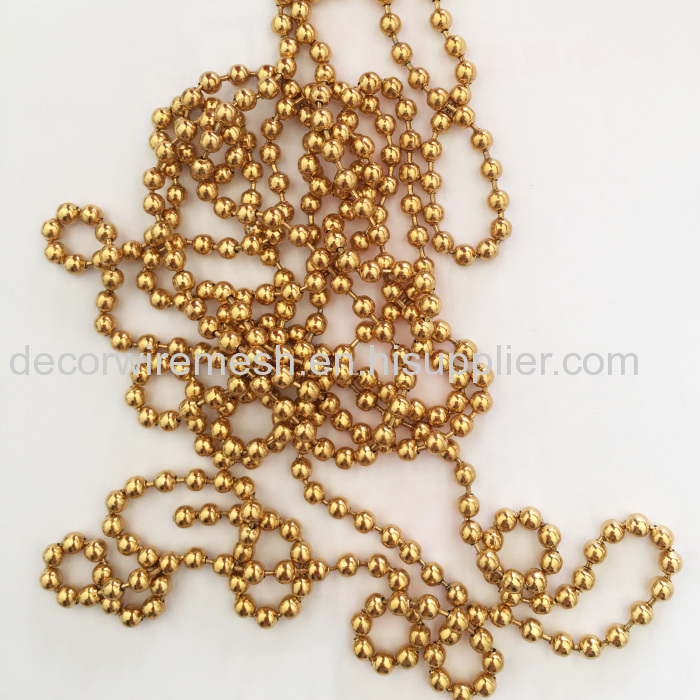 5.The chains of the curtains are randomly distributed.